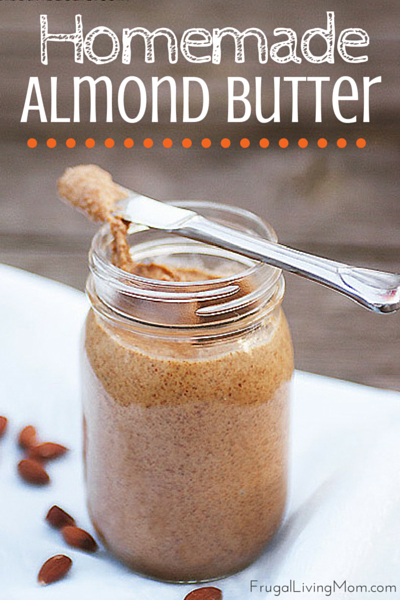 This Homemade Almond Butter is SO easy.. and you don’t need any special equipment. I have a pretty crummy food processor and that is what I made it in and it turned out great. It’s super quick and can definitely save you a few dollars over the very high price of almond butter. You can also do this with most ANY nut, not only almonds. Probably to most cost effective are sunflower seeds (not nuts, of course). I can pick up a pound at Trader Joes for $1.99. Process longer if you want it smoother, but be sure that your food processor doesn't become too hot. Does this need to be refridgerated ? I would.. there are no preservatives. HOW CAN THIS BE ALMOND BUTTER WITH JUST ALMOND'S. YOU HAVE ALMOND'S OKAY WHERE'S THE BUTTER? JUST ALMOND'S MAKE'S ALMOND MASH, OR PASTE.. REALLY!! :) It's like "peanut butter". That is just what is called. There's no butter in peanut butter either. This was AWESOME!!!! Seriously the best almond butter we have ever had, thank you for posting this as it gave me the courage to try it! LOVE LOVE LOVE. And for anyone who is even remotely familiar with nut butters---that is what they ARE. Nuts. mmmmmmmmmmmm. i might try this with cashews....have you done them? do you have to roast them too? I would roast them.. more flavor. and thanks!! I make cashew butter with raw cashews and a vanilla bean. You can add sea salt if you want. I have attempted almond butter, but I always have to add oil. I use raw almonds. I have been looking for a recipe just like this without anything else in it. Thank you so much for posting it!!!! How much almond butter does 1 lb make? I would guess around 2 cups? Did you know that "roasted nuts" are raancid nuts roasted by manufacturers to hide the spoiling of nuts! Use fresh "nuts" and roast them yourselves, then the butter nut will be truly fresh. And don't forget to put in refrigerator afterwards or you'll have rancid "butter nut"
This is so simple and awesome. Never had almond butter before, it is not a common pantry item here in New Zealand, but I am sure the kids will love it. I have just signed up to your emails (discovered this of a recipe/hint on pinterest). Looking forward to checking out the rest of your site. A while ago I´ve tried it with cashews and my Kitchen Aid Mixer didn´t make cashew butter. The crumbles would just stick to the sides and I had t keep scraping it down, but after 15 Mins. or so I gave up. Sure there goes nothing else into it? A drop of water maybe ? O what did I do wrong? Sometimes I think the nuts are really dry or the way certain food processors work they push it up to far on the side (my new kitchen aid actually does the 2nd when my cheap no name I used to have did not). When mine is not working quick enough I start drizzling in a tsp of tasteless oil at a time and generally that gets it going. 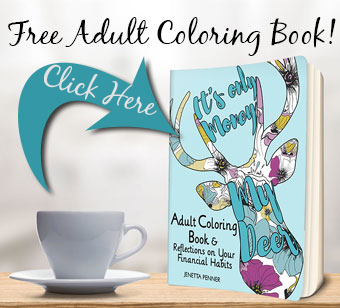 I am definitely going to try this! I love almonds. I am deathly allergic to peanuts therefore have never purchased any "nut butters" because they all seem to be manufactured on shared equipment(that peanuts have previously been on) or "contain peanuts". So, thanks!!! Could also buy "Sunbutter" if you can find it I know it's peanut free. Thanks for posting this recipe. I have my own almond trees and was just about to start looking for an almond butter recipe when a pin to this recipe popped up in my inbox. Can't wait to give it a try and thanks for sharing. Can I use a blender? I don’t have a food processor. no. unfortunately a blender will not work.